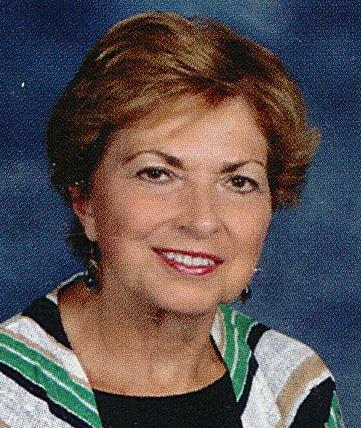 Poland - Barbara J. Harris, 68, passed away surrounded by her loving family on Monday, April 8, 2019 at her residence. Barbara was born January 13, 1951 in Ellwood City, PA, the daughter of the late William and Katherine (Paul) Johns. She graduated from Lincoln High School, Ellwood City, PA, in 1968 and from Youngstown State University with a Bachelor of Arts in English in 1994 and a Master of Arts in English in 2001. Barbara began her career as a secretary for the FBI in Washington, DC. She moved to the Youngstown area in the early 1970s and worked for Republic Steel for several years. Barbara later taught English at Poland Seminary High School for 20 years, retiring in 2013. She was a member of Poland Presbyterian Church, where she served as a deacon. Barbara enjoyed playing cards and belonged to monthly card clubs with two sets of good friends. She was a member of Poland PTA while her sons, William and David, were attending school. She was an avid reader and enjoyed walking, especially in the Poland Woods. Barbara is survived by two sons, William C. Harris of Campbell and David H. (Carrie) Harris of Stow; a step-daughter, Elizabeth (Patrick) Stief of Jackson, GA; and two granddaughters, Lydia R. Harris and Juliet N. Harris; three sisters, Kathy (John) Terlecky of Vienna, Susan (Gary) Abla of Belleview, NE, and Sandy (Domenic) Pisani of Chewton, PA; a brother, W. Ray (Noreen) Johns of Wampum, PA; a brother-in-law, Greg (Darla) Margerum of Woodland Park, CO, and many beloved nieces and nephews. Barbara's husband of 30 years, William Hamilton Harris, whom she married on July 9, 1976, passed away March 27, 2007. A sister, Trisha Margerum, passed away April 2, 2012. There will be funeral services on Friday, April 12, 2019 at 11:00 a.m. at Poland Presbyterian Church, 2 Poland Manor, Poland, OH with Rev. Dr. Paul W. Anderson officiating. Family and friends may call on Thursday, April 11, 2019 from 5:00 to 7:00 p.m. at Cunningham-Becker Funeral Home, 270 N. Main Street, Poland and one hour prior to the service on Friday at the church. The family requests that material tributes take the form of contributions to Hospice of the Valley, 5190 Market Street, Boardman, OH 44512 in memory of Barbara. Barbara enjoyed spending time with her family and friends, and especially looked forward to frequent "sister trips." She was a devoted wife, mother, grandmother and sister and will be deeply missed. Please visit www.beckerobits.com to view this notice and send condolences to Barbara's family.